The ConSaw is used for cutting blocks, sills, lintels etc. It is available with 12” or 14” blades with electric or petrol engines. The Consaw is recommended to be used with water. 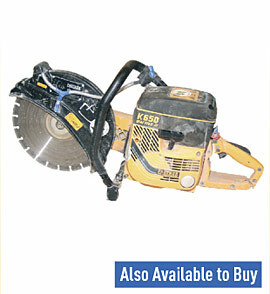 It is a very powerfull and versatile saw that uses diamond blades or metal and stone cutting discs.